SAINT LUCIA has been abuzz with various celebrations to commemorate forty years of independence. The baking industry has made its presence felt with indigenous bakeries collaborating alongside Caribbean Grains and Sandals Grande to provide delicious breadbaskets filled with a variety of tasty bread for the Prime Minister’s Independence Ball held on Saturday 23th February at the Grande. Bakers prepping ahead of the big event. A number of local bakeries called the Caribbean Grains show case prep kitchen home, as they prepared a variety of baskets and specialty bread for the event, before doing final baking at Sandals. Representing Cadasse Bakery was Ms Theresa Louis, Mr Jamal Polius represented Zephirine’s and Ms Lydiana Lewis from Central Bakery made up the core team. 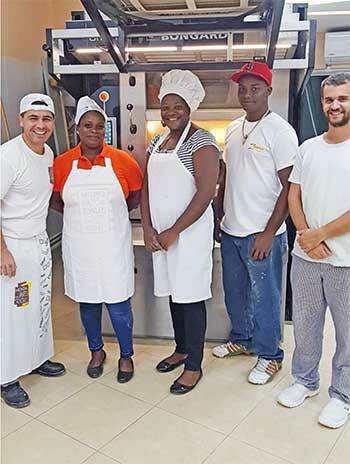 The trio worked under the supervision of Caribbean Grain’s associate bakers and Sandals Chef Henrique Sparrow. The baking team were excited at the opportunity to learn new techniques including breadbasket weaving and formation, and felt the experience was an enriching one. Owner of Cadasse Brothers Enterprise, Mrs Cadasse-Walker stated that, “as a collective of bakers we were honoured to have contributed to such a momentous occasion, and it brought a collaborative spirit and sense of solidarity among those of us who participated, particularly in light of our long standing within the industry of some 40 plus years. By all accounts, it was a wonderful effort on the part of the staff and an excellent precursor for what’s to come as we move forward in partnership. I must highlight that as recipients of the training provided by Caribbean Grains, they have much to offer our local industry and together, we have already cited a range of exciting developments to modernise our operations, upgrade skill levels and work as a unit to educate the populace on local healthy choices as this relates to baked goods”. 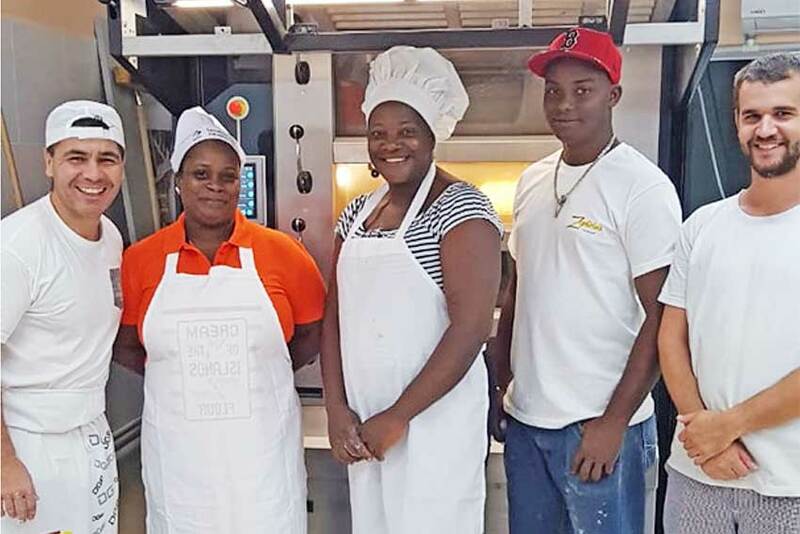 Echoing the sentiments of the bakers after a successful event, Director of Sales and Marketing, Mr Decosta Pierre added, “We are extremely impressed with the number of local bakeries who have continued to participate in our Baker Training Programme as we work towards reinstating a Bakers’ Association. In our last workshop, we were elated to host over 40 bakeries in the north and south, in an intensive session. Although there is a competitive nature in the industry, they all recognise the need to work together for the betterment and survival of the industry. We hope to groom younger bakers as well since the industry has a lot of potential for growth, especially as it relates to providing healthier choices, catering events and providing job opportunities in an industry which has experienced progress in recent years”. Caribbean Grains continues to welcome more local bakeries, restaurants, hotels, schools and even households into its baking academy in its quest provide innovative techniques and assist the bakers in producing a wider range of products which appeal to more customers. Currently, the company manufactures and sells Premium and Regular All Purpose Unbleached White flour in retail outlets island wide and, 50lb bags of White Wheat, Whole Wheat, and a variety of specialty flour including a donut mix, Rye, Multigrain, Campagne, Brioche, Genoise and Pasta flour from its depot in Vieux Fort.